Every aspect of our lives, from the most easily recognizable—relationships, material success, health, security, work—to much more subtle and often seemingly fixed subjects, such as truth, wisdom, spirit, and natural laws, constantly flows through ever-changing patterns and cycles. So, if the universe is flexible and evolving, and if our understanding of it changes with each new theory or model, what is real? How can we guide ourselves through the seeming chaos of living? How do we find a center, or grounding, in the middle of it all? How can we experience this constancy of change from the exciting and positive position of choice instead of the often terrifying helplessness found in the maze of fate? 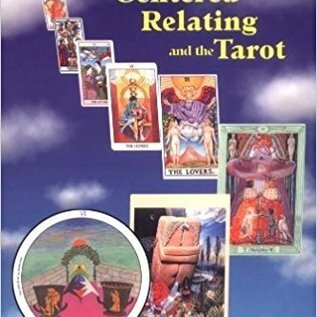 In Choice Centered Relating and the Tarot, Fairfield provides easily identifiable examples of choice centered approaches to life experience. She quickly faces the fact that many events in our lives are beyond our control, or choice, and then leads us to the empowering realization that we can learn the art of conscious action and reaction. Our center of control is not outside—but within—and with deepening understanding and steady practice, we can learn to access this center and nurture its growth. 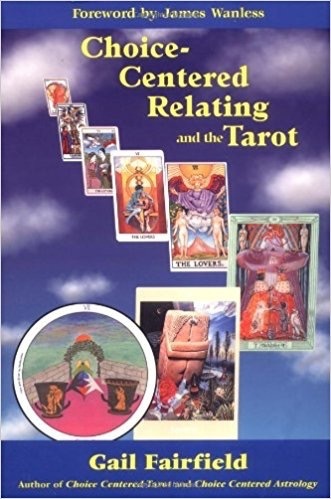 From this choice centered orientation we learn how to frame relationship-related questions and interpret the guidance provided by the symbolism of the tarot. The book is filled with thought-provoking questions and guides to interpretation using a wide variety of sample layouts.